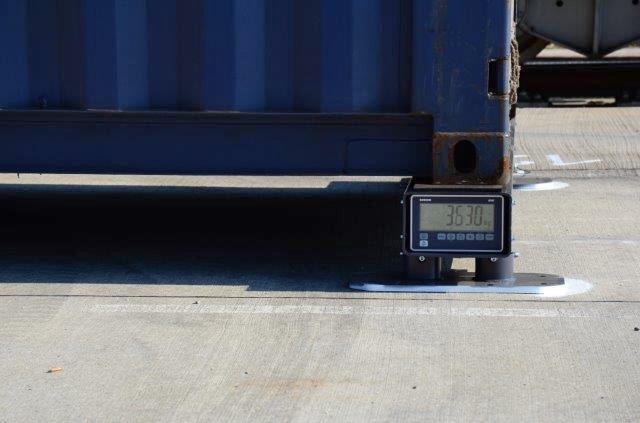 Product information "Container weighing beam DUO"
Since July 1st the gross weight of each container has to be checked to increase the safety of container ships. 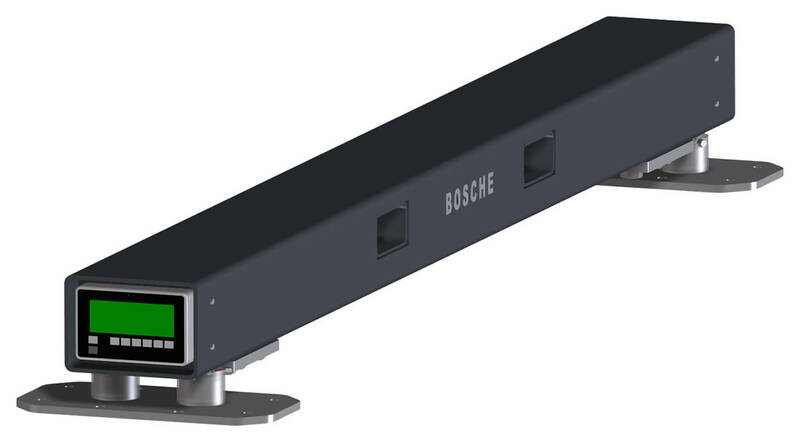 BOSCHE designed the robust weighing beams DUO to meet these SOLAS regulations. The weighing scale offers everything you need for the precise and flexible weighing of containers, large machines and high loads. 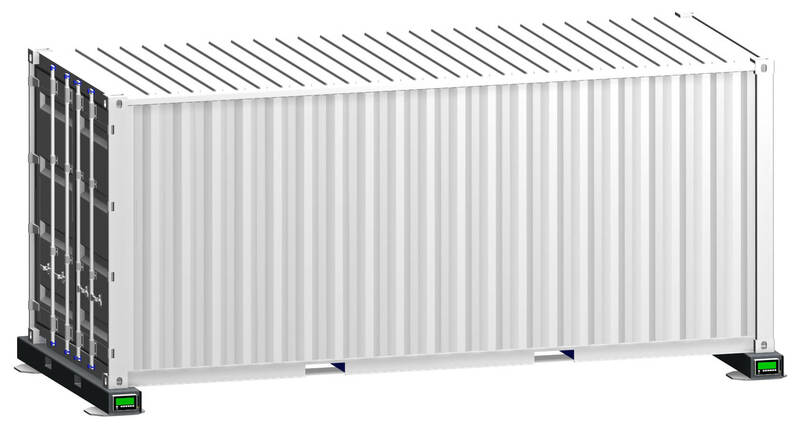 The readability is 10kg at a maximum capacity of 40 tons. 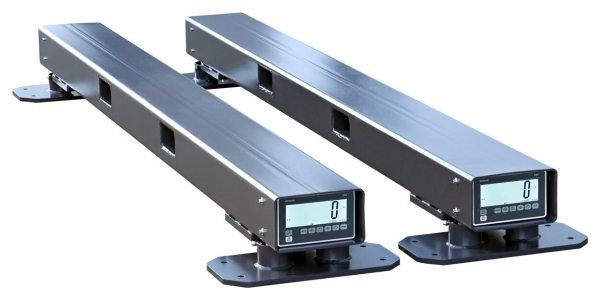 The flexible beam balance DUO has a capacity of 20t per beam (1 scale = 2 beams = 40t). Pockets for fork-lifts allow easy moving of the beams to different locations. For stationary use we offer fixing plates. Both beams are equipped with a large display (60mm, even legible from a great distance) which show the weighing results at a glance. Cordless weighing prevents cable tangles. 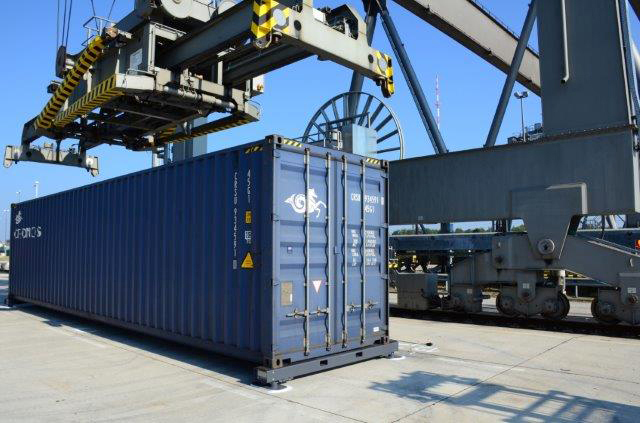 In addition, the scale provides a wide surface to position the container very easy. 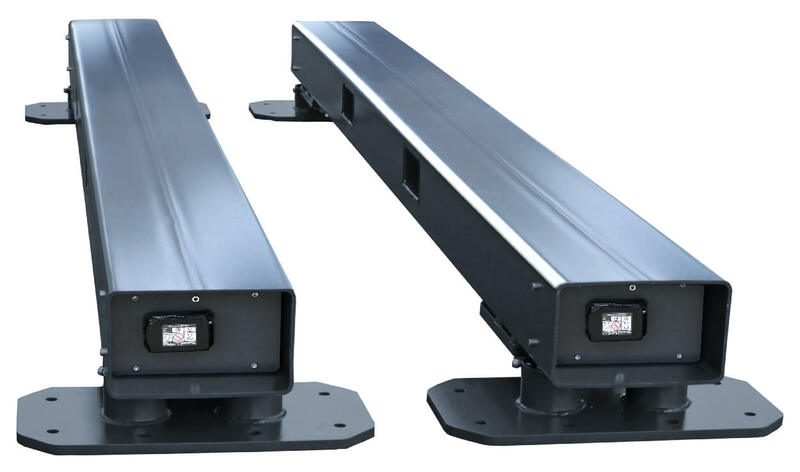 There are various ways to customize the Bosche made weighing beam DUO to your specific needs. You can choose a Makita battery powered version or a wireless data transmission (WLAN and Bluetooth) to PC, printer or remote display. This increases the ease of use. The container weighing scale is very stable and meets the requirements of Guidline 2014/31 / EU Class IV. 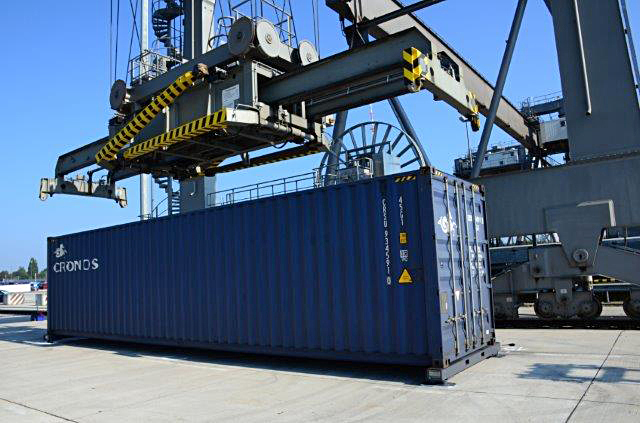 It is therefore suitable to determine the weight of containers according to SOLAS. It is not necessary to certify it legal for trade. We recommend to order a calibration test certificate for your documentation (required if you are certified to DIN EN ISO 9001). 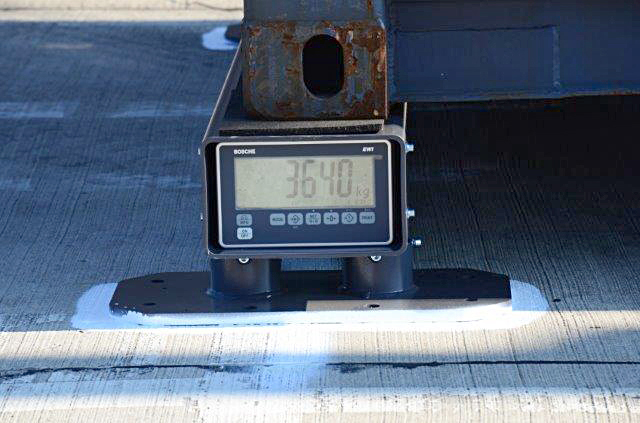 The weighing beam DUO is ready-to-use at almost any location because of its small space requirement. No additional cables are needed. The scale is operated via the large display EWI which is equipped with a moisture proof keypad with 8 function keys. For more information about the container beam balance DUO from Bosche Weighing Systems click here. Related links to "Container weighing beam DUO"